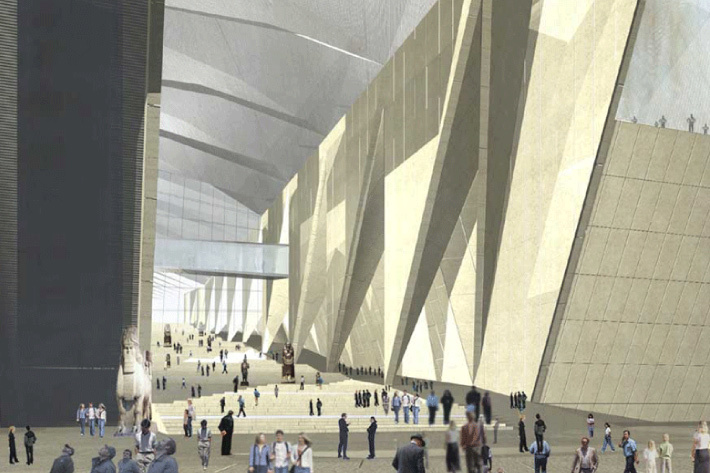 5 Facts about The New Grand Egyptian Museum. 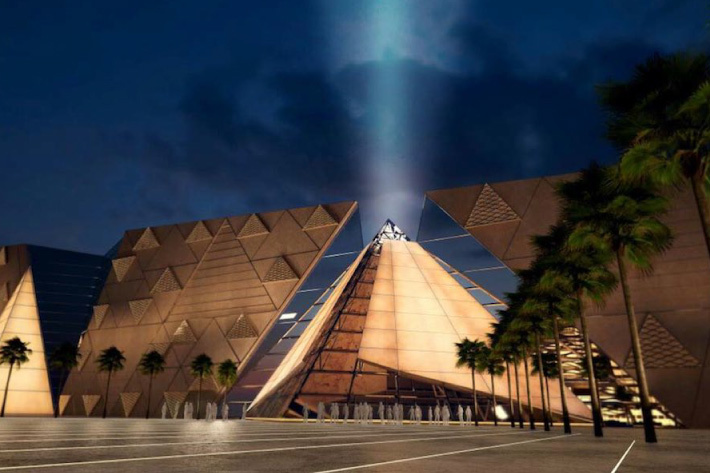 Described as the largest archaeological museum in the world, The Grand Egyptian Museum (GEM) also known as Giza Museum is under construction and is scheduled to be partially open in 2018 exhibiting the full Tutankhamun collection with many pieces to be displayed for the first time. The museum is sited approximately two kilometers away from Pyramids of Giza. 1- The museum intends to hold about 100,000 artifacts in total. 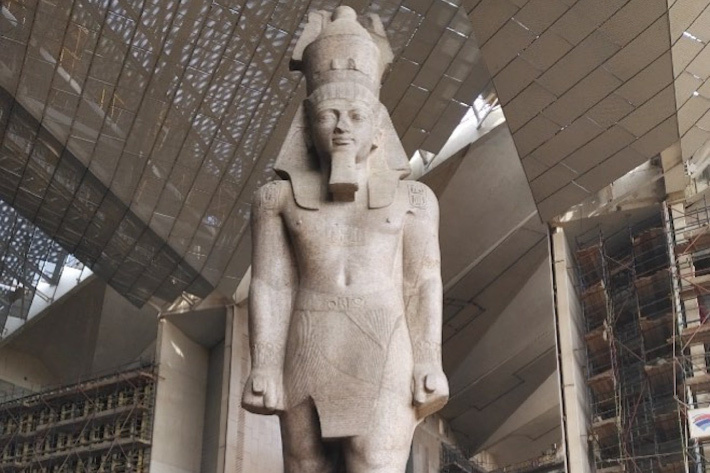 The artifacts include a colossal 83-ton and 30-foot-high granite statue of King Ramses II, believed to be ancient Egypt’s most powerful pharaoh. 2- The building is shaped like a chamfered triangle. It sits on a site two kilometers west of the pyramids, near a motorway interchange. The building’s north and south walls line up directly with Egypt’s Pyramids; the Great Pyramid of Khufu and the Pyramid of Menkaure. 3- The new museum is designed to include the latest technology, including Virtual Reality. The museum will also be an international center of communication between museums, to promote direct contact with other local and international museums. It will include a children’s museum, conference center, training center, and workshops similar to the old Pharaonic places. 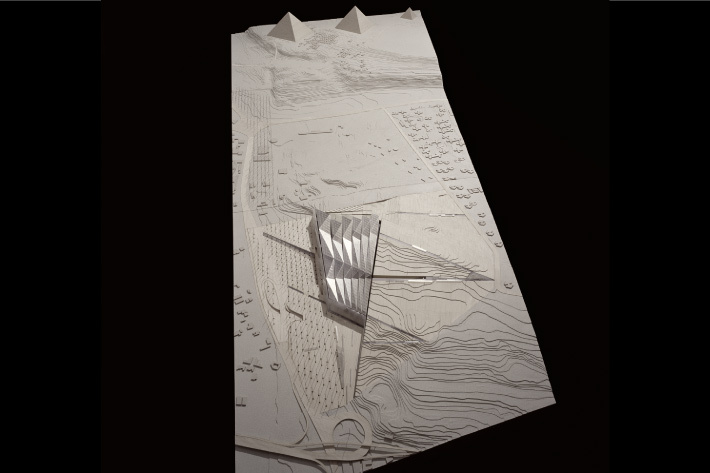 In 2002, a competition was announced to decide who should design the museum complex. More than 1,550 conceptual architectural designs from 83 different countries were submitted by international architects. The winner was Dublin based company, Heneghan Peng, who scooped an award of $250,000. 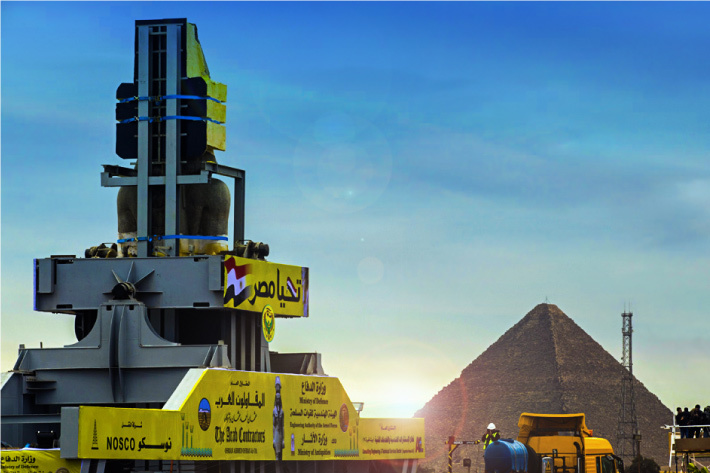 5- It is a Project of National Pride for Egypt. 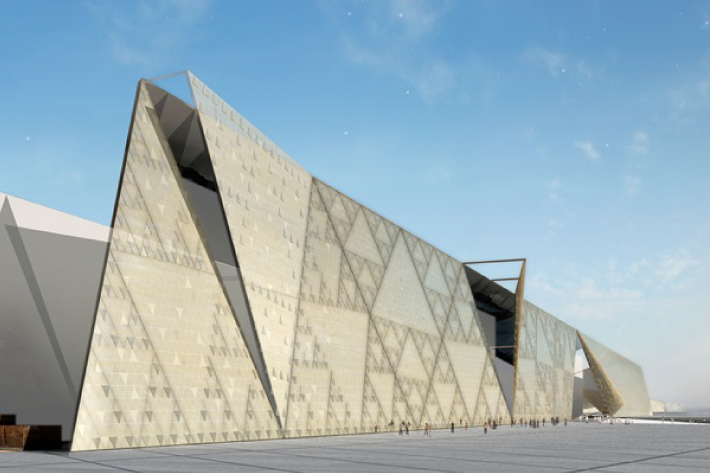 The Grand Egyptian Museum is a project of national pride for the country. Egyptologists and general tourists alike from around the world are all expected to be drawn to the museum. Explore more and make sure next time you travel to Egypt, you add The Grand Egyptian Museum on top of your to-do list.